the storyline, on the other hand, i have several that i would love to see as the main point in an episode. The Musgrave Ritual would be fantastic, as would The Redheaded League. but i think the one i would really, really love to see is my favorite story in the cannon, The Six Napoleons. that one is just so much fun and awesome that it would make a fair base line for one of the modern day stories. the three i just named would be hard to combine together, but i could see all of them being used in one way or another. and there's no picture to match up to this prompt, so how about a random one just for fun? I was thinking of pretending to be shocked...but then I decided to do the unexpected and not. LOL! 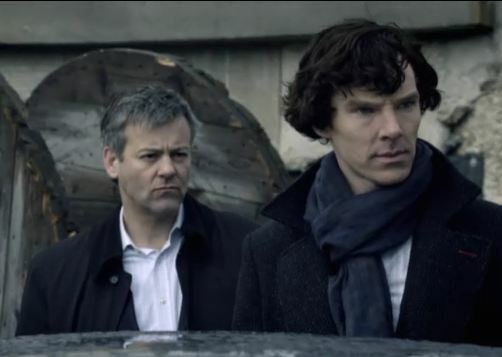 is it just me or is Lestrade pouting?